Use the interactive timeline to see the story of the Century America schools and towns as they relate to each other and the nation. Please note that these citations are arranged by school/community. The dates in italics are the dates for which the cited image is used. “Main Hall,” ca. 1913, Annie Crawford Milner Archives and Special Collections, Carmichael Library, University of Montevallo. Harris & Ewing, “Wilson, Woodrow,” ca. 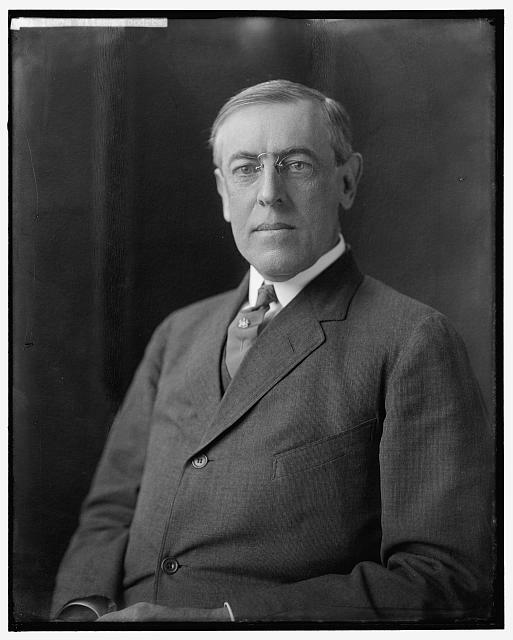 1905–1945, Harris & Ewing Collection, Library of Congress, JPEG file, http://lcweb2.loc.gov/service/pnp/hec/16800/16853r.jpg (accessed May 4, 2014). “American School of Osteopathy,” Photograph, ca. 1918, Wilbur Harrison Smith Bohm Collection, 2001.36.72.163, Museum of Osteopathic Medicine, “The American School of Osteopathy,” No Man’s Land: Kirksville, Missouri & the Great War, JPEG file, http://truman.centuryamerica.org/wp-content/uploads/2014/03/2001.36.72.163-copy.jpg (accessed May 4, 2014). “Aerial Shot of Downtown Asheville, About 1919,” 1919, North Carolina Collection, Pack Memorial Library, Asheville, North Carolina. SUU Digital Library, “Campus Buildings,” Branch Agricultural College (BAC) Collection, Special Collections and Archives, Sherratt Library, Southern Utah University, Date unknown, JPEG file, http://contentdm.li.suu.edu/cdm/singleitem/collection/BAC_Photos/id/251 (accessed March 29, 2014). 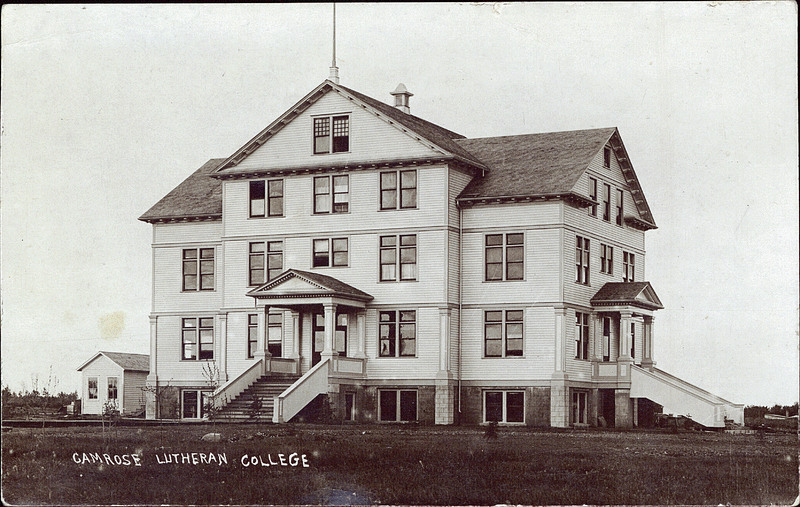 “Postcard 3149: Camrose Lutheran College,” ca. 1915, Peel’s Prairie Provinces Collection, University of Alberta Libraries, University of Alberta, JPEG file, http://peel.library.ualberta.ca/pcimages/PC/003/web/PC003149.jpg (accessed April 29, 2015). “Clinchco,” Elihu Jasper Sutherland, Meet Virginia’s Baby: A Pictorial History of Dickenson County, Virginia, from its Formation in 1880 to 1955, with Stress on Pioneer Background (Dickenson, VA: Dickenson County Diamond Jubilee Commission, 1955), 45. “Farmington State Normal School Girls at Railroad Sign,” ca. 1914, Miscellaneous Photos, Box: 7E, Mantid Library Archives, University of Maine at Farmington. “Faculty and Student Body State Normal School Fredericksburg Virginia April 27 1916,” Bulletin of the State Normal School for Women, Fredericksburg, VA: Sixth Annual Catalogue, June 1917, front matter, Special Collections and University Archives, Simpson Library, University of Mary Washington, https://archive.org/stream/bulletinofstaten22univ#page/n3/mode/2up (accessed March 29, 2014). Ernest Brooks, “The Battle of Passchendaele, July–November 1917,” September 21, 1917, Ministry of Information First World War Collection, Catalogue No. Q 2864, Imperial War Museums, JPEG file, http://media.iwm.org.uk/iwm/mediaLib/384/media-384828/standard.jpg (accessed May 4, 2014). “Pageant of the Mohawk Trail,” The North Adams Transcript, 1914, Special Collections, Freel Library, Massachusetts College of Liberal Arts, North Adams. 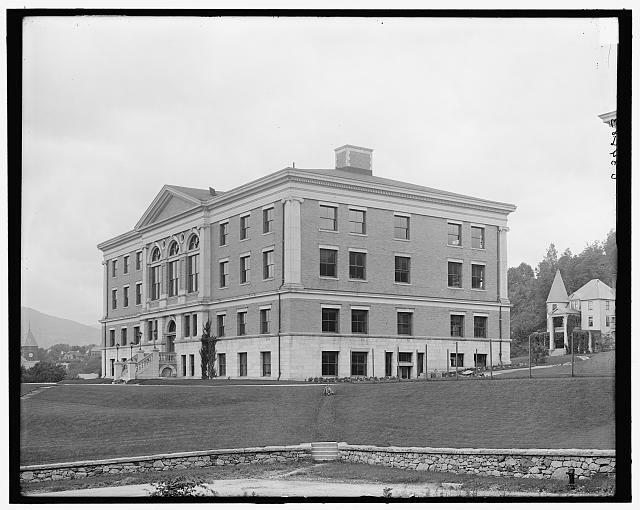 Detroit Publishing Co., “Normal school, North Adams Mass.,” 1910, Prints & Photographs, Library of Congress, JPEG file http://lcweb2.loc.gov/service/pnp/det/4a10000/4a18000/4a18300/4a18301r.jpg (accessed May 4, 2014). Emma E. Dewey, “When We Were Juniors We Worked,” 1915, Freel Library, Massachusetts College of Liberal Arts, North Adams. 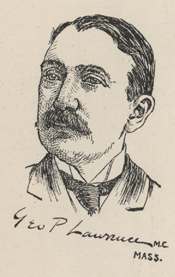 Thomas Fleming, “Around the Capital,” 1902, Collection of the U.S. House of Representatives, “Lawrence, George Pelton, (1859–1917),” Biographical Directory of the United States Congress: 1774 – Present, JPEG file, http://bioguide.congress.gov/bioguide/photo/L/L000133.jpg (accessed May 4, 2014). “Drive Along Bay Front,” Sarasota, Florida and the Sarasota Bay District of Manatee County (brochure, issued by Sarasota County Board of Trade), 1914 – 1915, 23, Sarasota County Historical Resources, Sarasota, Florida. The Rumseian Society, http://jamesrumsey.files.wordpress.com/2011/06/monumenta.jpg (accessed March 29, 2014). “Agriculture in Stevens County,” n.d., Stevens County Historical Society, Morris, Minnesota. 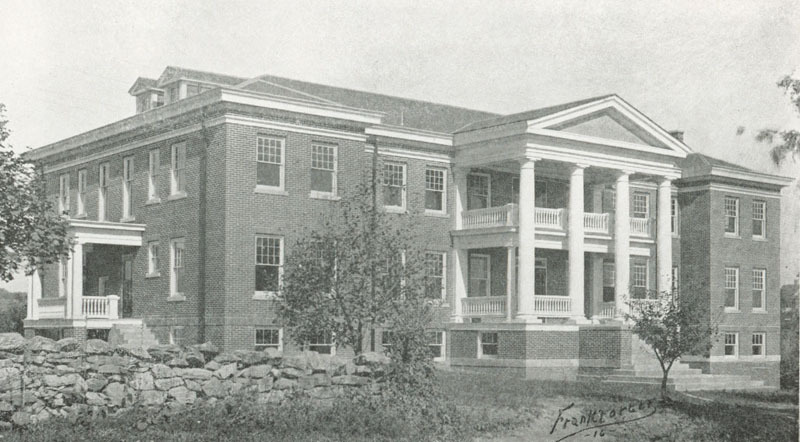 “Normal School after Being Rebuilt,” Black and white print, ca. 1910-1919, History of UW-Superior, The University of Wisconsin Collection, UW-Superior University Archives, University of Wisconsin-Superior, JPEG file, http://digicoll.library.wisc.edu/UW/data/images/MmBib/UWSuperior/reference/super0195r.jpg (accessed May 4, 2014). “Postcard of Normal School Burning,” Black and white postcard, March 17, 1914, History of UW-Superior, The University of Wisconsin Collection, UW-Superior University Archives, University of Wisconsin-Superior, JPEG file, http://digicoll.library.wisc.edu/UW/data/images/MmBib/UWSuperior/reference/super0198r.jpg (accessed May 4, 2014). Image courtesy of Wichita Falls City Cartographer Paul Bata. ”Normal School exterior (color),” ca. 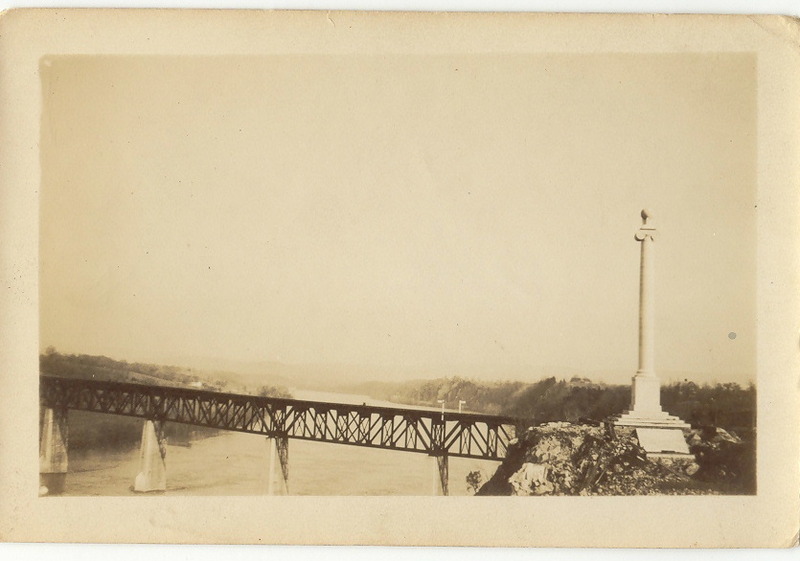 1910, Postcard Collection, Eastern Connecticut State University Archives, Willimantic, http://www.easternct.edu/smithlibrary/depts/archives/collections/postcards/Postcard_NS%5B1905%5D.pdf (accessed March 29, 2014). Copyright © 2019 Century America. All Rights Reserved. The Matheson Theme by bavotasan.com.